Bracken is such a successful fern that it grows all over the Earth, except in deserts and in Antarctica. Here in South Devon it is quick to colonise moorland and covers huge areas. It’s an evolutionary success story. That success has been achieved, not through out-competing other plants for water or light or nutrients, but by poisoning them using deadly toxins. 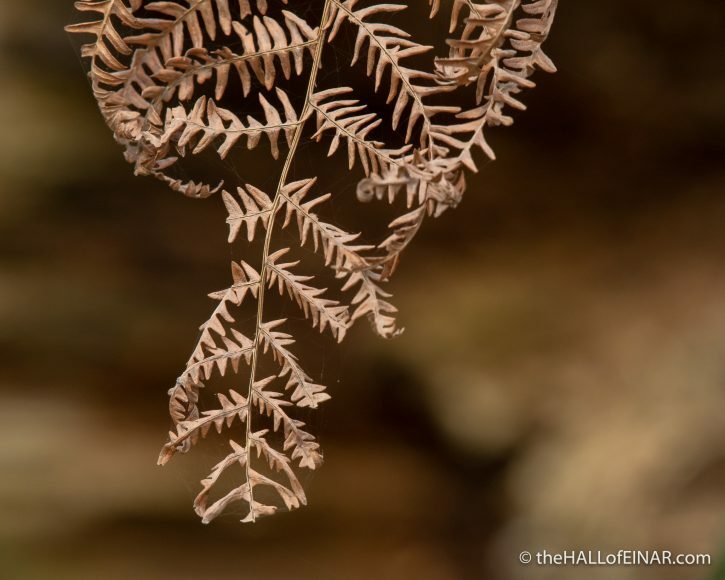 Dead Bracken leaves leach poisons called allelopaths which inhibit the germination, growth, survival, and reproduction of other plants. As soon as the rains fall on dead bracken leaves, the water drips with them and poisons the ground surrounding them. Little can grow within their reach. Bracken causes stomach cancers in animals, and yes, that includes humans. The higher incidence of stomach and oesophageal cancers in Japan may well be linked to eating warabimochi made from flour from Bracken rhizomes. I think I’ll stick to mochi made of rice in future. One thing dead Bracken leaves would be wonderful for though, is a replacement for plastic packing material. It may be toxic, but surely it’s not as harmful as bubblewrap?